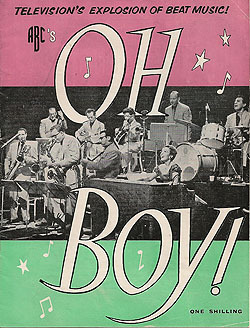 "Oh Boy!" 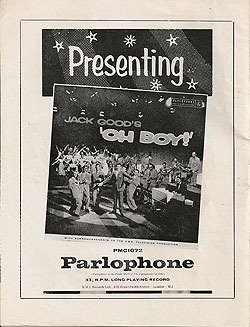 Stage Show - Oh Boy! 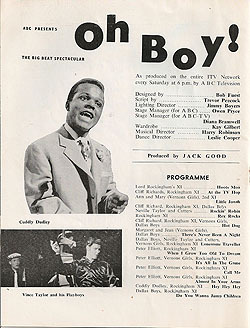 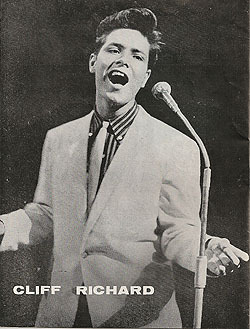 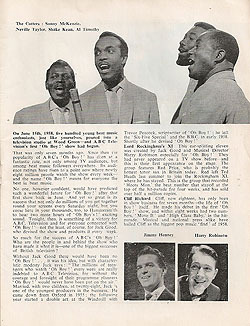 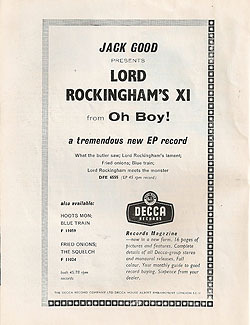 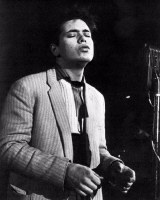 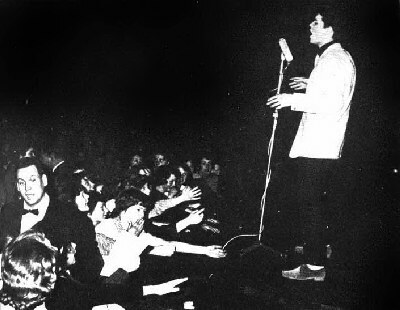 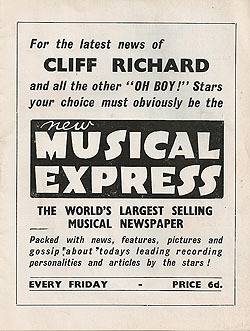 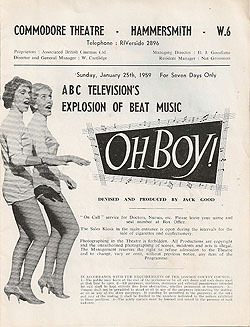 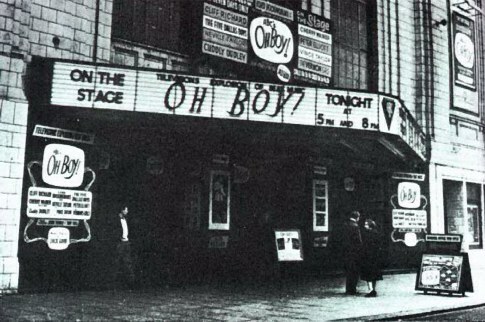 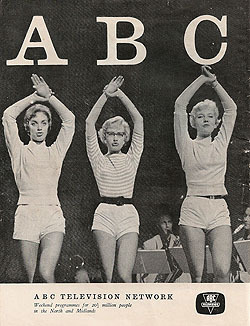 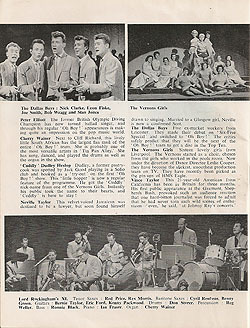 For 7 days in January 1959 a stage show of “Oh Boy!” took up residence at the Commodore Theatre in Hammersmith, West London. 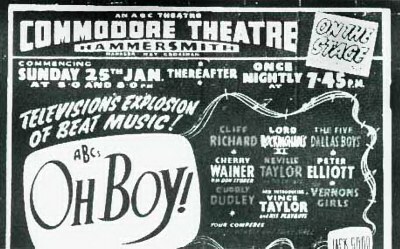 There were two shows performed on the first Sunday (25th) at 5pm and 8pm and one show nightly for the remainder of the week at 7.45pm. 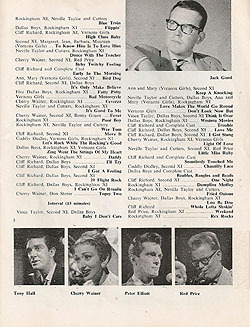 it featured all the biggest star names the series had created in just three short months on television. 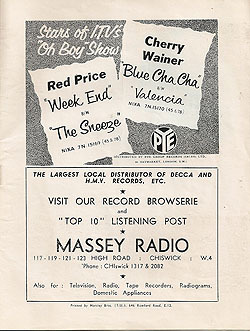 Also on the bill was Cuddly Dudley, Neville Taylor and his Cutters, Peter Elliott and the Vernons Girls.